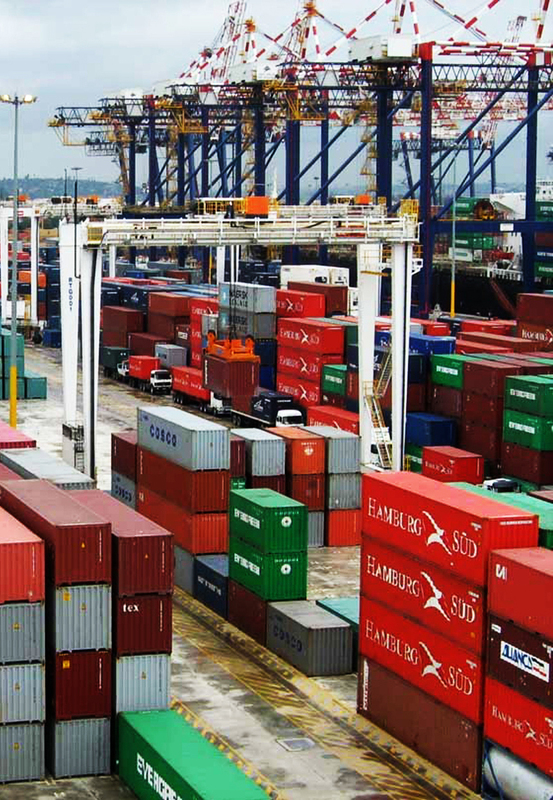 Sebenza understands that prompt and efficient clearance of cargo is critical to the supply chain. We have the expertise and capacity to manage sea freight at all the ports in South Africa and ports all over the world. Our service offering in the sea freight also includes large consignments packed in full containers, groupage consolidations, bulk or break bulk cargo. Our priority is to deliver your sea freight cargo safely, on time and within budget. Through our web-based tracking system, we will keep you informed on the whereabouts of your cargo 24/7. Dedicated and experienced Seafreight Controllers will contact you to provide us with, and to confirm your clearing instructions on each shipment. The written clearing instruction is required by Customs. Telephone, fax or e-mail will be utilised to communicate the progress on each shipment, as well as inform you of any further information or additional documentation still required to complete an outstanding delivery. Where seafreight shipments are tracked within the parameters of our International network, it is out Policy to commence clearance proceedings at least even (7) days prior to the arrival of that vessel in Port. This places our operations in a position to curb storages or any other unforeseen expenses before the arrival of the vessel. Each controller is supported by an Assistant Controller. Once all disbursements have been established, an Invoice will be produced and delivered to you for verification and settlement. Computerised costs in customised versions are provided if so required. Sebenza Forwarding attained its IATA and FIATA accreditation in a very short space of time and is currently a well established member of these organisations. Therefore, we have various members of staff on board who are competent in the handling of dangerous cargo and who are fully conversant with many complex International shipping requirements. Exports are normally handled in conjunction with allied service requirements such as "letters of credit" stipulations, as well as "Customs formalities" to the satisfaction of our Customers. We have ensured that not only do we cover this service portfolio, but also that it is done to the highest professional degree. It will remain an ongoing growth point of focus to our Management, consistently seeking out new routes and focusing on the improvement of the service portfolio on ever changing and new fronts. A rate Policy relative to Customer satisfaction is achieved, sought out and voluntary benefits are attained, again as Policy. This portfolio is again supported by a worldwide network of reputable Agents for the provision of a professional International "door to door" service. We can provide Marine Insurance on Exports, as well as cover for the duration of the period that cargo is warehoused on our premises, until export dispatch or local delivery. Our clients can provide us with their product details and basic pricing information and we can effect a pricing comparison on the international market and identify if you have an exportable product and to which countries you would ideally market your product. Provision of complete product specifications and literature will aid us in assisting you with the correct Customs Tariff classification. We can provide Shipping details, estimated FOB costing, International terms of purchase and detailed specifications. Sebenza negotiates with buyers and arranges secured methods of International payment, shipping and export, including documentation on your behalf. Specialist in-house shipping personnel have a thorough working knowledge of all import and export procedures pertaining to the different export destinations our company operates in. This expertise results in reliable deliveries with minimum delays. Shipments are processed depending on customer requirements. Road freight, Seafreight or Airfreight. Packing and Despatch is handled at our Warehouses where prior inspection and adequate packaging is effected to minimise damage to cargo. This also facilitates pre-inspection of goods to meet manufacturing specifications and standards.Sebenza Forwarding and Shipping (Pty) Ltd. are Part 108 Accredited.